Nigerians should stop judging the judiciary – Justice Walter Onnoghen – Royal Times of Nigeria. 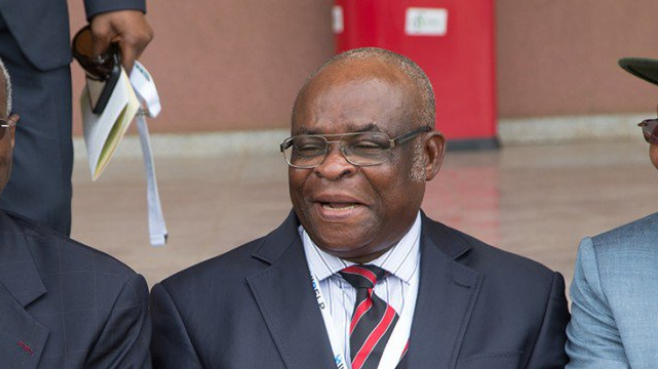 The Chief Justice of Nigeria (CJN), Justice Walter Onnoghen speaking with State House correspondents shortly after meeting behind closed doors with President Muhammadu Buhari at the Presidential Villa, Abuja has urged Nigerians to stop judging the performance of the judiciary in the ongoing anti-corruption fight. He was reacting to comments on the recent loss of corruption-related cases and allegations that the judiciary was involved. “I am not going to speculate. I am lawyer and judicial officer. I operate on facts and the law. So, I can’t answer that question because I am not on everybody’s mind.